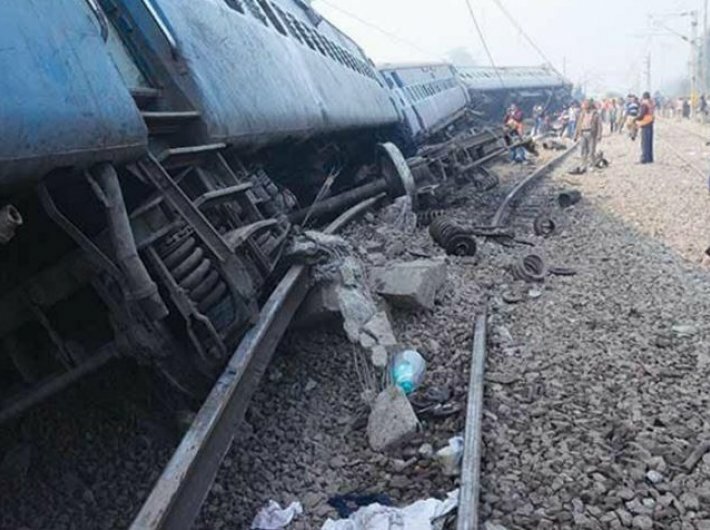 The railway staff carried out track repair work without getting prerequisite permissions, said a preliminary report on the derailment of Puri-Haridwar Utkal Express that left 23 passengers dead. The report has been accessed by Governance Now. The report prepared by commissioner railway safety said the ground staff of the railways failed to provide the traffic block in time for repair of unsafe track that led to derailment of Utkal express. Fourteen coaches of Utkal express were derailed between Khatauli and Mansurpur railway stations in Uttar Pradesh on August 19. Over 70 people were injured. The report by CRS, northern circle, SK Pathak observed that most of the sections of the northern railway do not have provision of maintenance corridors (for more than 2.5 hours) for maintenance/repair of assets. It also says general reluctance in granting the block to carry out maintenance work and unavailability of short margins is the root cause of problem. It stated that the departments concerned are giving a margin of only 1-2 hours for maintenance and repair work on the northern railway sections which flouts the rules of Railway Board of giving one block of at least four hours or two blocks of 2.5 hours to ensure adequate time for the maintenance. CRS report lays emphasis on allowing assistant station masters (ASMs) to permit short blocks of around half an hour as they are at the ground level and understand the gravity of situation. Senior officials earlier had questioned the lack of coordination between engineering, signaling and traffic wing staff. Officials said that trackmen had started carrying out track maintenance work between Khatauli and Mansurpur railway stations of Delhi-Saharanpur section without even putting up a red flag at least one kilometer away from the site. Later, a few media reports say trackmen had sought block from the traffic wing official which denied the permission to do so because of punctuality reasons.